George Joslyn loved to entertain in what is considered the “original man cave.” He and his friends would gather for billiards, cocktails, cigars and even bowling in the Castle basement. Joslyn Castle's Janice Pickering stops by KIOS-FM to chat with Mike Hogan about the second annual "Speakeasy Series." 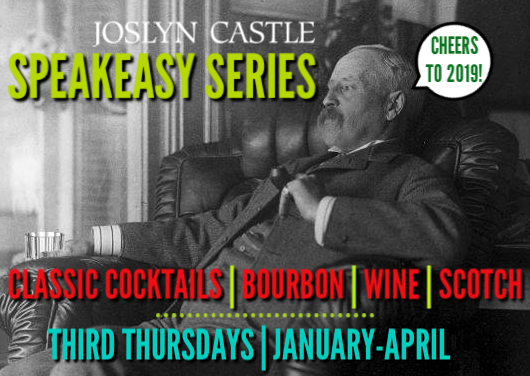 The Joslyn Castle Speakeasy Series is a monthly meet up that will feature tastings presented by professionals in their fields. January through April on the third Thursday, Joslyn Castle will host a tasting featuring one of the following favorites: Classic Cocktails, Bourbon, Wine, and Scotch! All events run 7pm-9pm, doors open at 6:45pm.